An area of ​​250 hectares summarizes a variety of cultural arts activities, venues and a variety of culinary services. 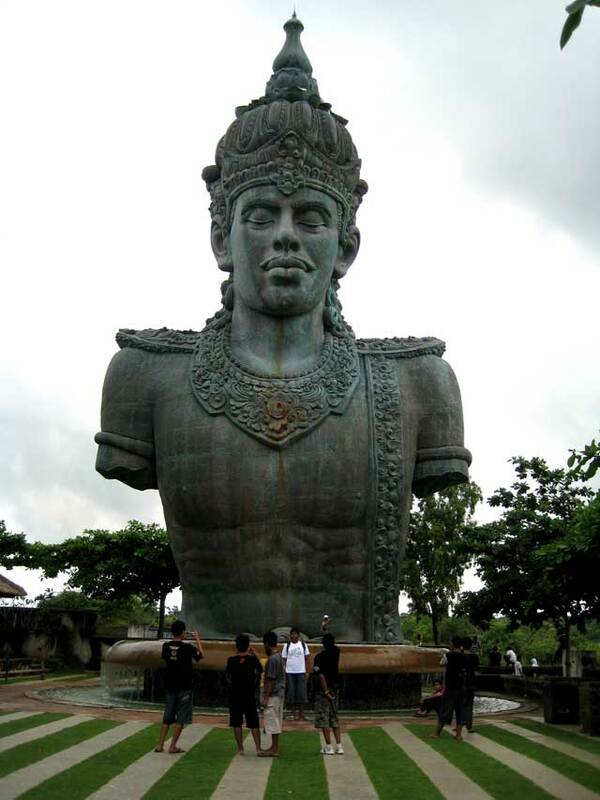 As the palaces of Bali in the old days, visitors will witness K GW monumental grandeur and spiritual kekhusukan which are all enhanced with a modern twist with the facilities and services are appropriate. In spite of you come as part of the thousands of visitors a cultural event or just alone to enjoy a light meal and beverages while watching the sunset, you will feel the beauty of nature and culture and hospitality of its inhabitants. 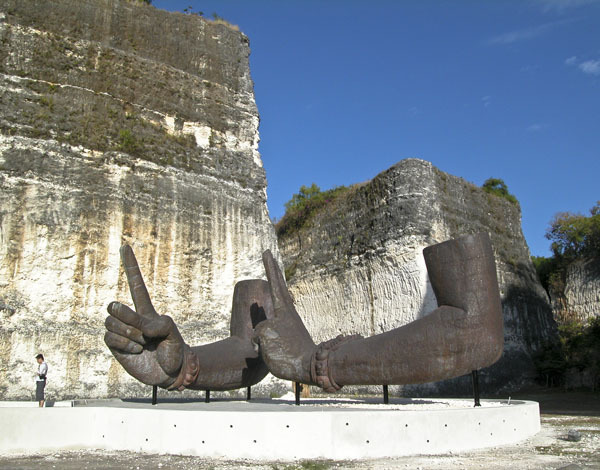 Wisnu - Hindu symbol that symbolizes the power of the main custodian of the universe that dominates this region. Manifested as a giant-sized sculptures made ​​of brass and copper with the height reached 22 meters, making this figure as a modern manifestation of an ancient culture and traditions. Being attached to them is Garuda - a large bird which became the vehicle of Lord Vishnu as the symbol of freedom as well as unconditional dedication. Adjacent to the statue of Lord Vishnu are Parahyangan Somaka Giri, a sacred spring from which flows water to the main content of minerals. Presence of water on top of limestone hill padas this is indeed a miracle and can not be explained by science, thus making it a spiritual and meditative visit. 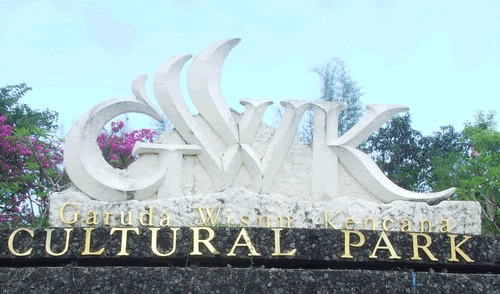 With a relatively low rainfall, but is open to be able to enjoy the tropical breeze, facilities owned by GWK to be very ideal. Amphitheatre with a capacity of 800 seats and first-class acoustic arrangement, is an unparalleled place for cultural arts performances. 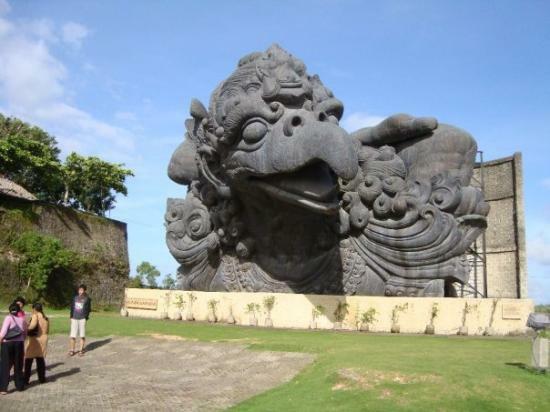 Lotus Pond, surrounded by stone pillars and rock background Garuda bird statue's head with a capacity of 7500 people makes this area very dramatic for the various grand event. As the ceremony arena villages in Bali, Street Theatre is the perfect place for a variety of processions, fashion shows and various performances move. Place for social call is an ideal Plaza Turtles, which has a capacity of up to 200 people. In addition, open to the public, the Exhibition Gallery which has an area of ​​200m2 10m2 courtyard contained therein. A number of cafes and restaurants provide a full catering service, from snacks, light meals to banquets. On-site catering service available capable of serving up to 2000 portions, with a variety of Indonesian dishes, Oriental or International cuisine that can be customized with themes and locations. 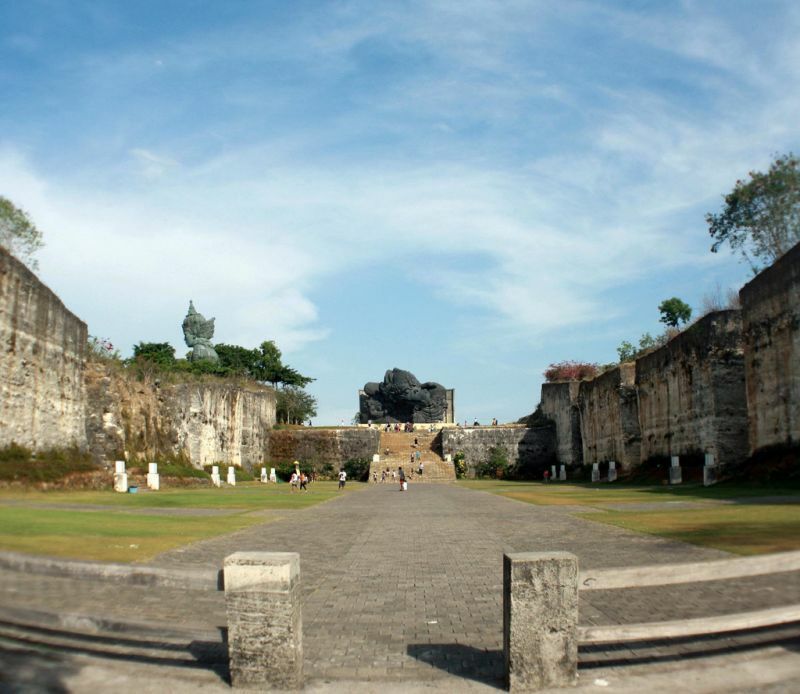 In the GWK Bali there are also some events that are free for all visitors because it is a shame when this is passed, below Boma write down the schedule and location of some of the show.